This book offers a critical, empirically-grounded and contemporary account of how advertisers and agencies are dealing with a volatile mediascape throughout the world, taking a region-by-region approach. It provides a clear, systematic, and synoptic analysis of the dynamic relationship between media, advertisers, and agencies in the age of globalization, and in an era of transition from mass to social media. advertising, globalization and world regions. 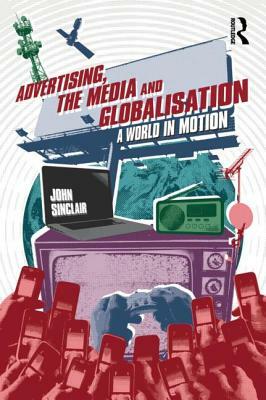 While maintaining a contemporary focus, the book explains developments over recent decades as background to the globalisation of what it calls the manufacturing-marketing-media complex. Description: An unmarked apparently unread copy with faint crease to upper right corner front panel. "Offers a critical, emphirically-grounded and contemporary account of how advertisers and agencies ae dealing with a volatile mediascape throughout the world, taking a region-by-region approach.